Born in 1998 in sunny Orlando, Florida, we have grown from representing one manufacturer of commercial pool furniture to now offering superior products from over 40 manufacturing companies. We are proud to be a Veteran Owned SBE/WBE Corporation. Our founding partners used their extensive professional experience in manufacturing and supplying products to multi-housing, hospitality, and commercial properties to create a company that has a proven track record of competence and excellent client service. Now located in beautiful and historic Lexington, Virginia, we are the original online vendor of commercial outdoor furniture. Our company is staffed with dedicated individuals, whose mission is to ensure that you will become a client for life. 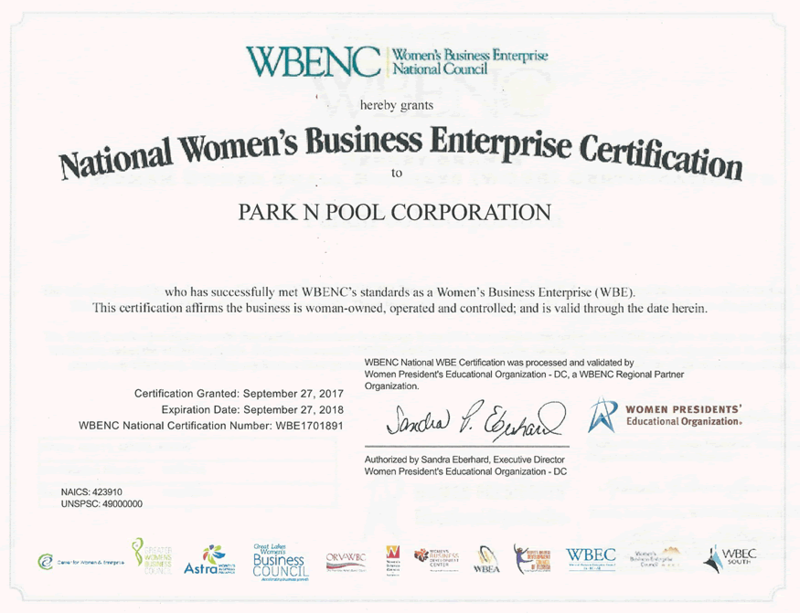 ParknPool's goal is to provide unparalleled integrity and competence throughout the entire purchasing and installation process. Our mission is simple, but powerful - to create happy clients. Our unique Power Promise ensures that we accomplish this. We promise that we will provide you with consistently high-quality commercial furnishings. We will identify your needs and match them with relevant products. We will create realistic expectations and then we will exceed them!